The preceding Onan Company History 1983 described David Onan as a mechanical genius. It certainly is true that his abilities were in his genes because he had little education. 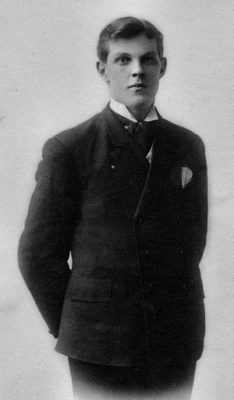 At age 16 he was working for the Niagara Falls Street Railway Company. His return to Minnesota and his active business days are described there. What I want to do is illustrate a bit of his abilities as an inventor, tinkerer and promoter with an emphasis on the mechanical and electrical. Both the automobile and electricity were leading edge technology when he was a young man. I’m sure he had no idea they would combine in his life to become his future. It speaks to his character that he believed he could achieve success at the cutting edge of technology.